In 3-quart saucepan, heat oil over medium-high heat. Add onion, celery and garlic; cook about 5 minutes, stirring occasionally, until softened. Stir in remaining ingredients except tomatoes. Heat to boiling. 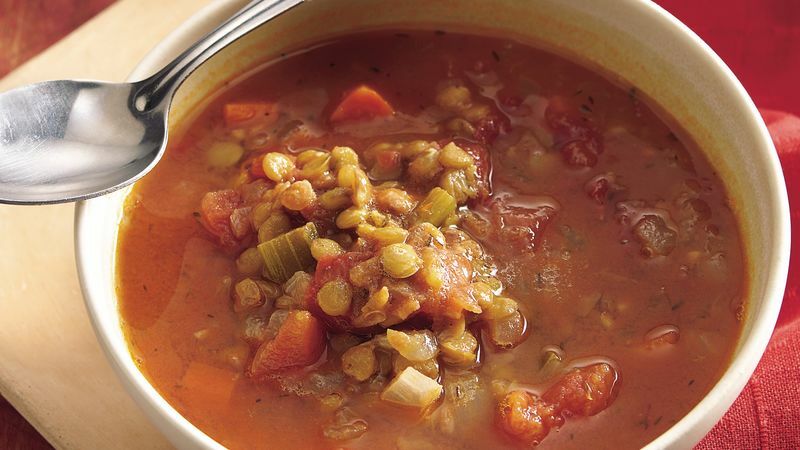 Reduce heat; cover and simmer 15 to 20 minutes or until lentils and vegetables are tender. Stir in tomatoes. Reduce heat; simmer uncovered about 15 minutes or until thoroughly heated. Remove bay leaf. There's no need to soak lentils as you would need to do with dried beans.